Another solid month of #handtoolthursday contributions! We ended the month of October with a total of 2,289 contributions. Here were my contributions. My Bad Axe 14" hybrid copperhead killer has been featured before, but this time around I made a custom leather cover using some Olive Drab leather. Hand stitched and riveted, it's keeps my saw teeth in pristine condition. There are time when you need a tool that you just can't find anywhere. If you can't find it, make it. 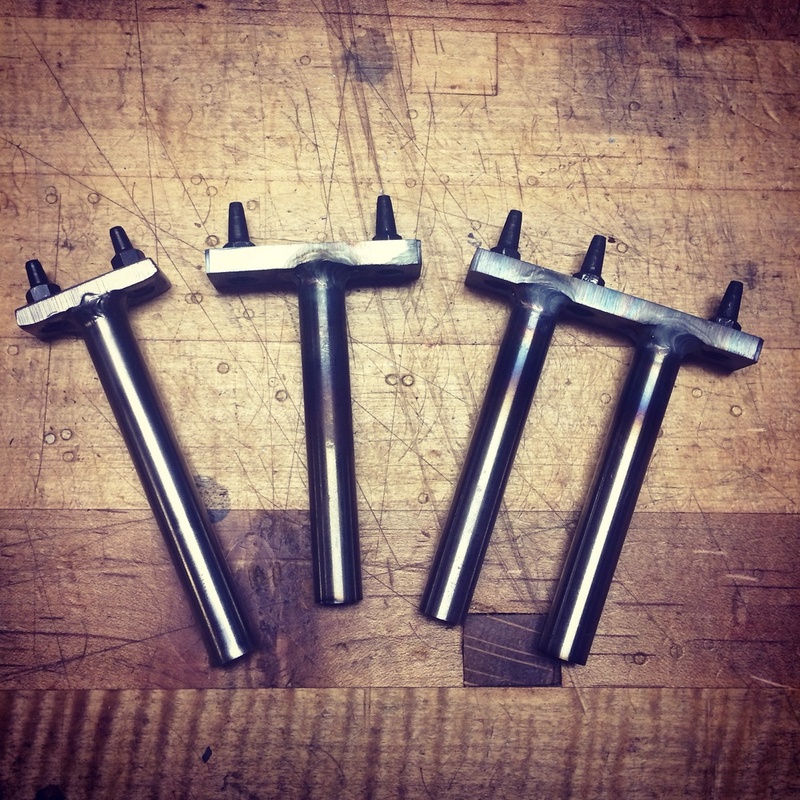 I made these custom punches to aid in my apron construction. Each one has a dedicated purpose and will rely help my efficiency. Having a TIG welder in the shop is pretty handy. These 18" mahogany winding sticks were made by Neil Cronk of the Cronkwrights Shop. With the banded inlay along the top edge, they are a perfect fit for my style of work. Bevel gauges are pretty cool. I've got several. My first was the Crown Tools gauge at the top. I found the Stanley at the antique show in Warrenton. I got the infused Lee Valley gauge from my friend Todd Nebel. The Vesper gauge is my latest acquisition. It's an engineering marvel. This handy little Quilted Maple block plane was made by Jim White of Crown Plane. Right out of the box, it took great shavings. The craftsmanship is top notch, I can't wait to use this little guy some more. I finally got around to putting a handle on my old German steel carving axe. Using white oak, I left it thick and chamfered. I hope to use it for spoon making. It was a good month! Let's see what November brings around. Heck, just yesterday the Renaissance Woodworker and owner of the Hand Tool School, Shannon Rogers joined Instagram. Let's see what he brings to the table!